Allambie is a family owned and operated 60 acre orchard specialising in quality pick your own fruit, especially cherries. All their fruit is grown for their customers (they do not pack for markets). Pick Your Own Cherries are available during cherry season (November and December) and blossom tours in September/October. Family Groups and Coach Tours are well catered for. The orchard is also open mid week when the fruit is in season. 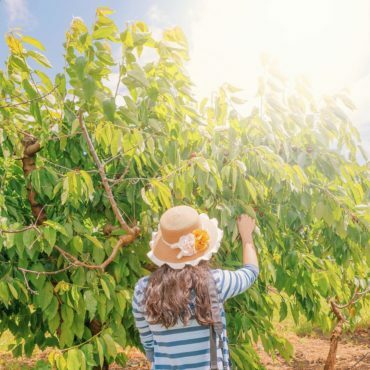 When in season you can visit Allambie Orchard and pick your own cherries in park- like surrounds. Bring your own picnic – enjoy a relaxing spot by the picturesque dam. Spoil yourself with a coffee and cherry pie in the Allambie Cafe. Fresh fruit, local jams and honey for sale. Opening Hours 8am to 6pm every day during cherry/stonefruit season. Times outside these hours can be arranged.